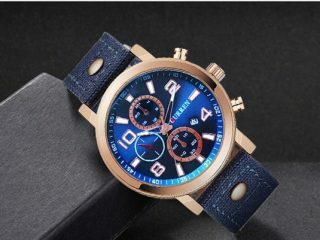 Is there a watch that got you in the first sight? 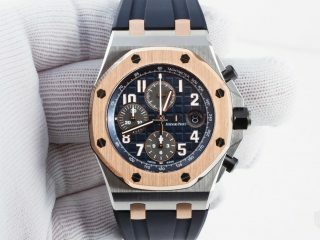 Is there a watch that makes you hold your breath for seconds due to its beauty? 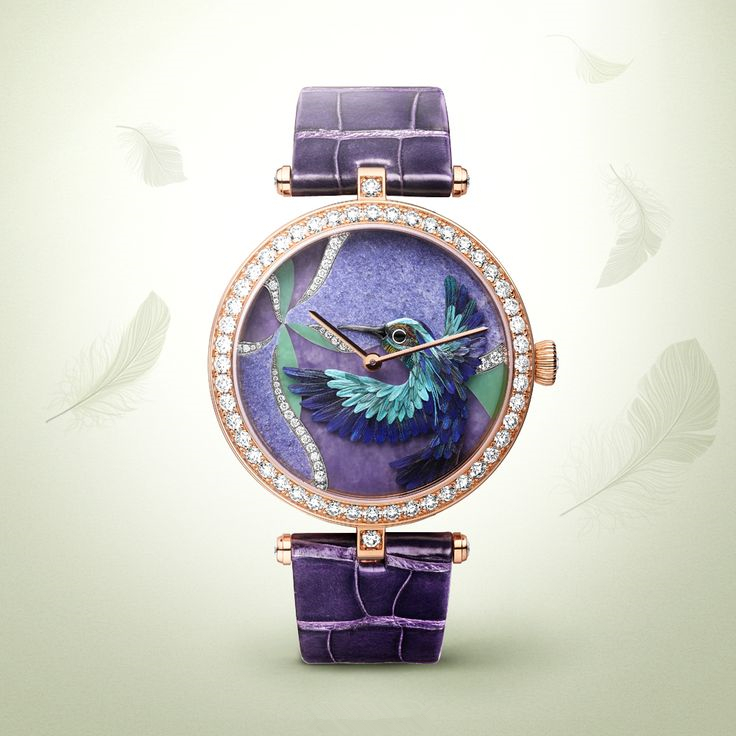 In 2015, there is a watch that shines wonderfully among all the gorgeous watch, and the watch is Lady Arpels Oiseaux Enchantés. 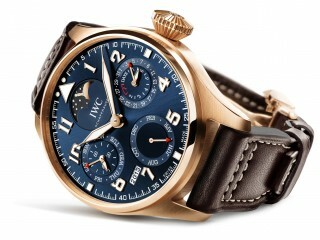 Just take a gleam at this watch, and I just can’t help falling in love with this amazing watch somehow. 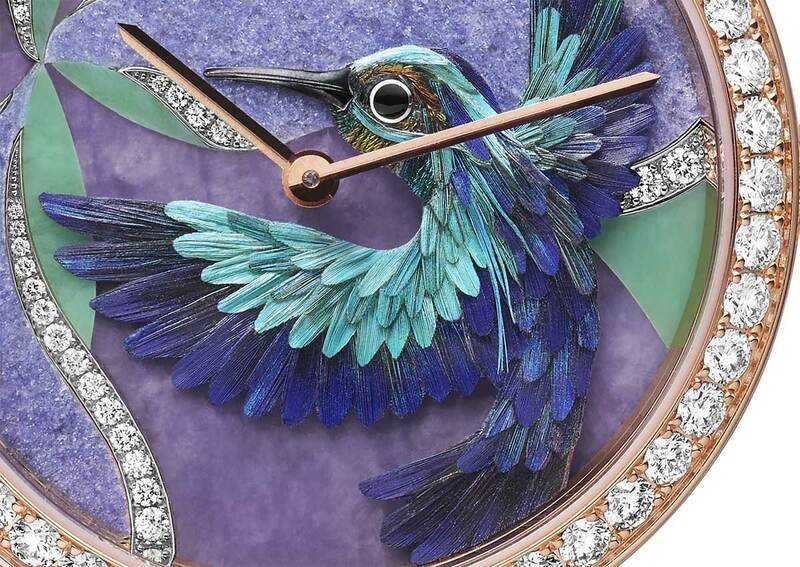 What got all my attentions is the vivid colibri, and I am surprised by how amazing and delicate the little bird is on the dial. 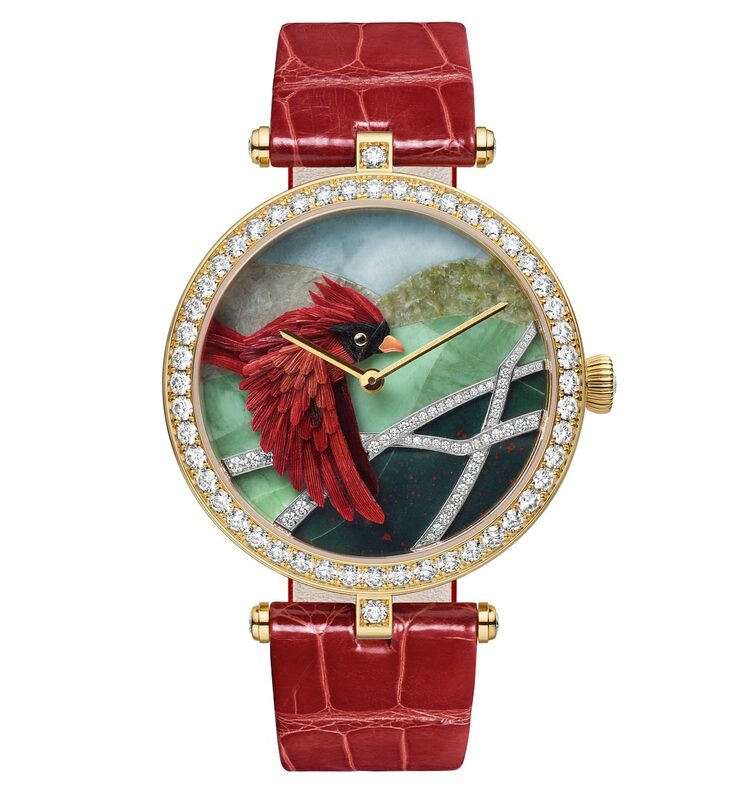 Obviously, the feather art has been applied to the watch several times, but none of them could be more wonderful than this one. 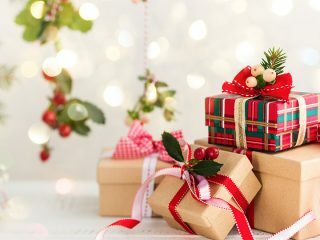 To look closely, you could see those wonderful miniature feathers, and the bird just like the real one with glossy feathers. 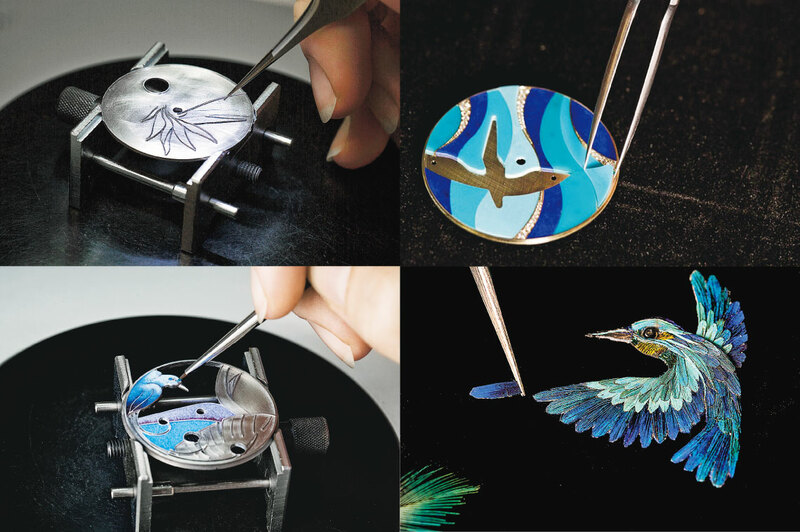 As you could see from the picture above, the feather is painted with colors that are coordinated, and painting these tiny feathers must be time-consuming. 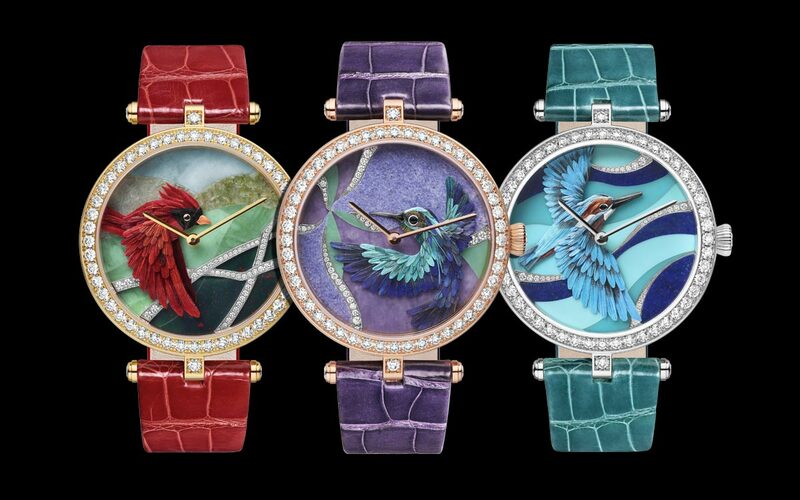 I can’t take my eyes off those extremely delicate feathers, and that’s exactly the reason why I love these watch so much. 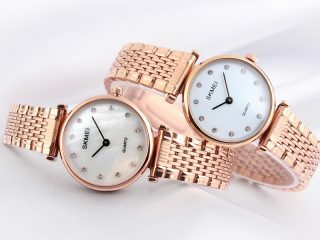 And needless to say, the dial is embellished with shiny diamonds, which will be absolutely attractive, since there is no woman who doesn’t like diamonds. 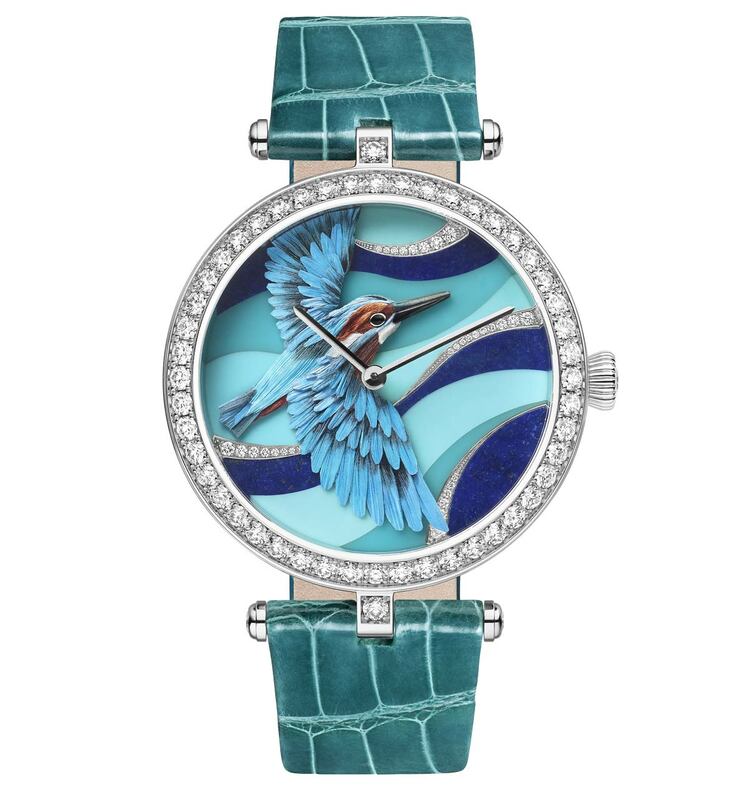 Aside from the lavender one, there are Lady Arpels Cardinal Carmin and Lady Arpels Martin-Pêcheur Azur with a turquoise kingfisher on it. The turquoise one is my favorite, and this color looks quite elegant and refreshing at the same time. If you are looking for the attention-grabbing one, the cardinal one will be the best choice. 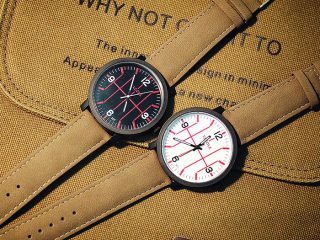 Although these watches are too expensive for me to wear, I still can’t help loving them anyway.